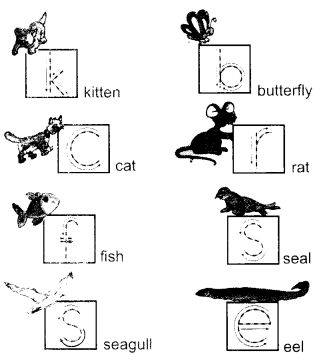 NCERT Solutions for Class 1 English Chapter 5 One Little Kitten are part of NCERT Solutions for Class 1 English. 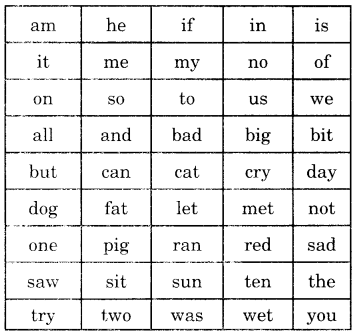 Here we have given NCERT Solutions for Class 1 English Chapter 5 One Little Kitten. 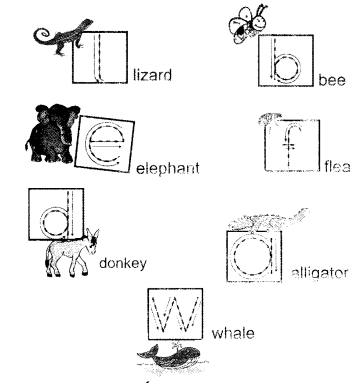 This poem teaches the names of various animals and numbers in a poetic manner. A fat cat saw a rat. How many kinds of creatures are there in the poem? कविता में कितने प्रकार के जीव हैं? 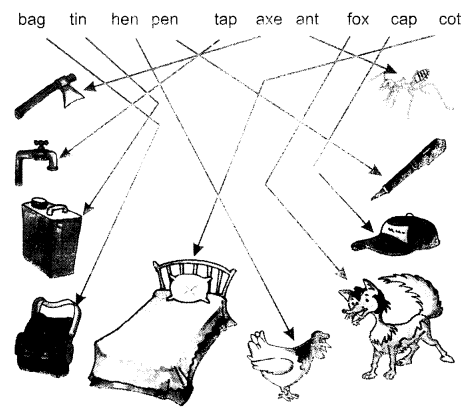 There are fifteen kinds of creatures discussed in the poem. क्या शील मछलियाँ खुश हैं? Where do the fish live? The Fish live in the water. What are the other things found in water? जल में और कौन-कौन-सी चीजें पाई जाती हैं? The other things found in water are plants, herbs, pearls, shells, etc. There are many creatures in the poem. Which ones have you seen? कविता में कई प्रकार के जीवों के नाम हैं। उनमें से तुमने किसे देखा है? I have seen rats, cats, butter-flies, lizards, elephants, donkeys, etc. बताओ कि तुम इन स्थितियों में कैसा महसूस करते हो? I feel sad when my mother and teacher shouts on me. I feel brave when I am true. I feel happy while helping other. I feel nervous when my homework is incomplete. 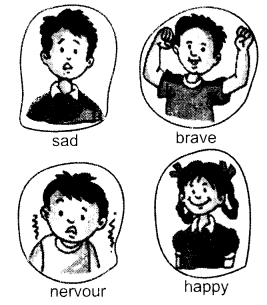 Make faces to show your feelings to your friends. Look at the pictures of the animals given below and underline them in the poem. Then trace the letters. Say these words aloud. Then match them with the pictures by drawing lines. Fill in the blanks from the words given above. We hope the NCERT Solutions for Class 1 English Chapter 5 One Little Kitten will help you. If you have any query regarding NCERT Solutions for Class 1 English Chapter 5 One Little Kitten, drop a comment below and we will get back to you at the earliest.